An astonishing number of tourists are said to flock to Veneto every year - around 60 million, in point of fact - which makes it a very busy place indeed. For centuries, this part of Italy has been a bottomless treasure chest for the Republic of Venice. Today, nothing much has changed. 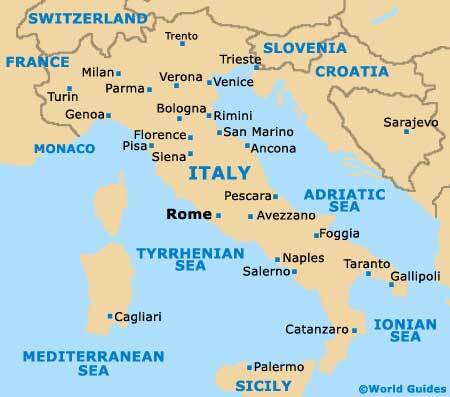 It is still one of the richest Italian regions. It also happens to be home to many of the country's cultural, historic and artistic highlights. Veneto's famous city of Venice rising out of the mist is one of those sights that you can quite categorically class as unforgettable. At the heart of this medieval city, which floats enigmatically on its own lagoon, is the Piazza San Marco, with its iconic basilica, palace and bell tower. Venture further into the city and you can tick off a 'must see' list that includes historic churches and palaces. Lapping at the doors of most buildings in Venice is the Grand Canal. Venice is the sort of city that never seems to sleep, throwing as much energy into the pint-sized craft industries that are housed within its narrow alleyways as into showing off its many artistic treasures to their full splendour. The tourist throng is transported from one iconic destination to another by an army of willing gondoliers. Nearby Padua is reputed to be the oldest city in northern Italy, with its maze of streets and arcades, vast piazzas and bridges. Padua's most famous landmark is the fresco-covered Scrovegni Chapel, while the university's most famous student was Galileo Galilei. The northern part of Veneto is something of a winter sports Mecca, with the Dolomites running through the region. They weren't always a place of leisure, though. During World War One, these mountains formed a front line between Italy and Austria. Today, the mountain slopes are popular with skiers and mountain climbers. The latter come here to face the challenge of ascending Marmolada, the highest point in the Dolomites, also home to the Marmolada Glacier. Between the mountains and the marshes is the Po Valley, where tourists can take a leisurely stroll on the shores of Lake Garda. Veneto has long enjoyed links with some of Italy's most vibrant musical traditions and events. Verona has been hosting music concerts in its Roman amphitheatre for centuries and continues to do so. Cities like Padova, Rovigo and Venice itself are home to world-renowned theatres and music conservatories.